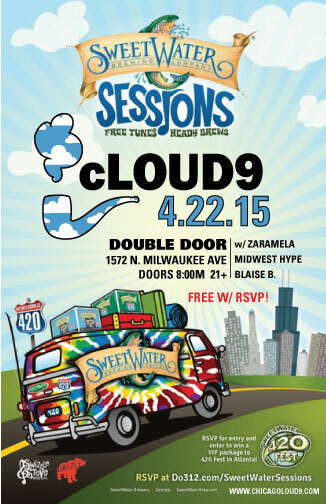 Sweetwater brewing company presents a night of free music and heady brews featuring Chicago Loud 9, Zaramela, Midwest Hype, and Blaise B. Click the flyer below to RSVP! 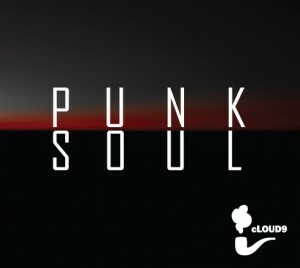 Punk Soul…now on iTunes for $.99! FREE with RSVP for a Limited Time! Click the Flyer to RSVP. 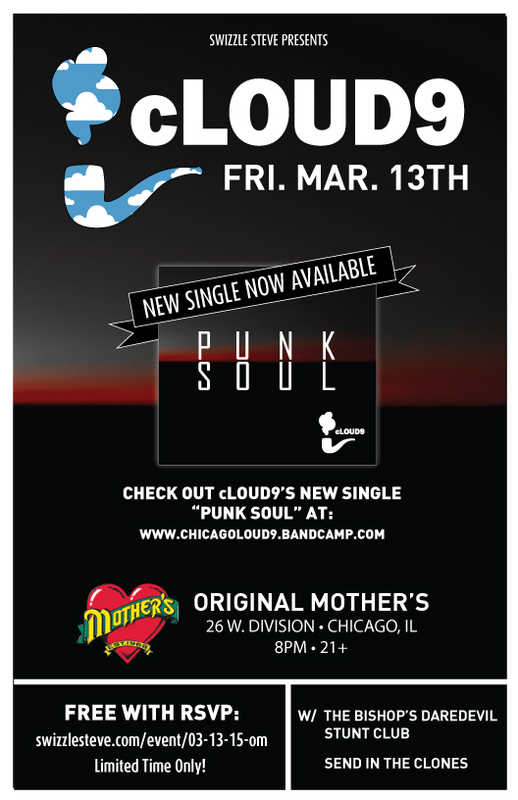 Here is the brand new single from cLOUD9’s forthcoming LP to be released in Spring 2015. 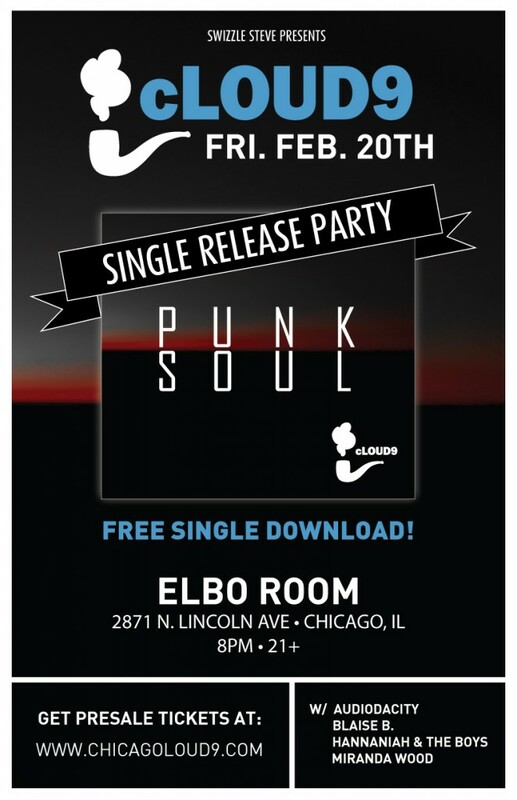 Come celebrate the release of cLOUD9’s new single “Punk Soul” at the Elbo Room Friday, Feb. 20th. Click the Flyer for Tickets!